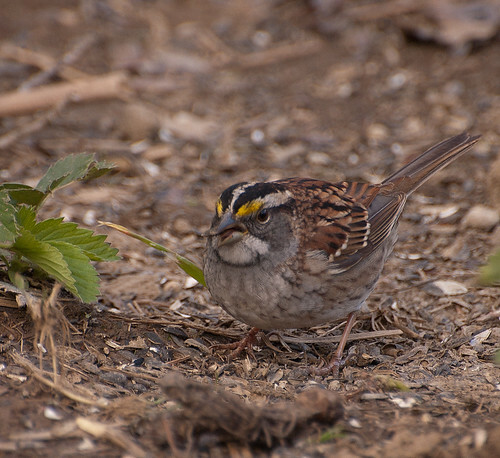 The white-throated sparrow is a handsome bird that I have a bit of a love-hate relationship with. They tend to be on the early side of migration, so I love the re-awakening of the garden and the milder weather that I have come to associate with them. 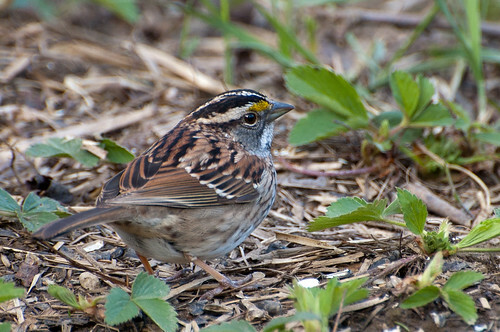 Each spring they make brief appearances scratching at the dirt and leaf cover in our strawberry patch to unearth sunflower seeds other birds have carelessly tossed to the ground from the feeder above. 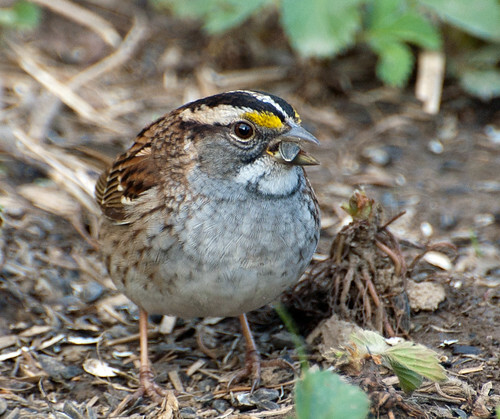 Though the Buffalo Ornithological Society shows these as year-round birds, I only see them in my backyard during migration – hence the love-hate relationship. When they re-appear under my feeder I know that our wonderful summer months are quickly winding down and crisp autumn weather is not far behind. This entry was posted on 22 August 2013 by patacoate. 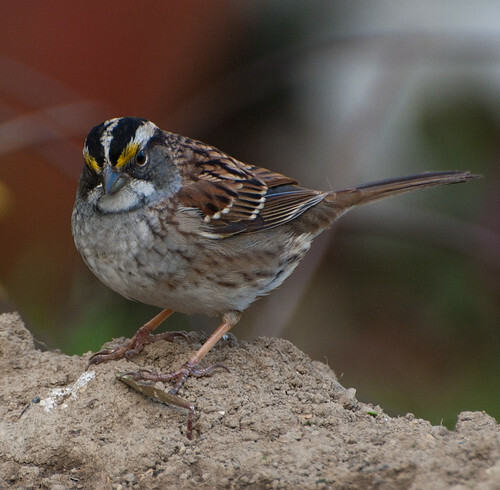 It was filed under iPhone and was tagged with white-throated sparrow. 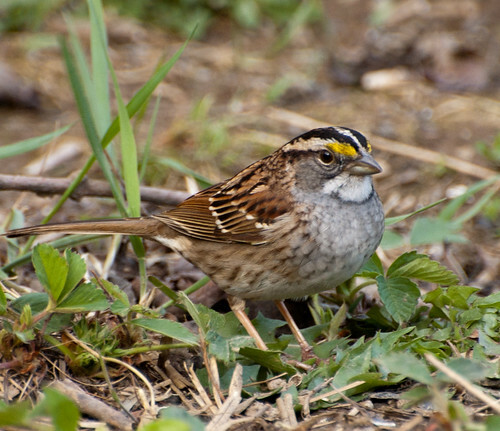 Great profile of this ” summer winding down” bird.